My sources? It official investigative sources say it and ... considering ongoing briefings ... if Kyron's parents say it ... I believe it. Desiree Young: "It was exactly between 8:45 and 8:55. He was in his classroom. He got the photo taken by Terri and he according to eyewitness accounts ... multiple adults ... that can vouch for the fact that Terri walked out the side entrance of the school with Kyron in tow and we know this because Kyron's friend even saw him with her right outside the school." .... Sometime after Terri Horman left the school with her daughter Kiara in tow, she was captured on store video prior to Kyron’s exit from Skyline School. It is believed Kyron was last seen between 9:05 and 9:20 AM. If we factor in the setting- from his own school during a public access event where multiple witnesses observed Terri and Kiara leaving without Kyron, Kyron was seen in his own homeroom following their departure and CCTV captures them and the truck without Kyron- meaning it was physically impossible for Kyron to have left with Terri. If we then factor that we have multiple witness accounts to the exchange with Matthews, to include Kyron walking out the door with SZ, Kaine’s public statement that “there is someone we don’t know about, someone we don’t know the identity of” we can assume by some means, Kyron is removed by a non custodial person- falls under stranger or possible acquaintance. MULTIPLE WITNESSES? WHY ARE INVESTIGATORS IN THE DARK? You have mentioned that you have interviewed Terri and multiple witnesses in the Kyron case. I’m interested in talking with you. Please email me with contact information and I will give you a call. If official investigative sources say it and if Kyron's parents say it ... I believe it. Desiree Young: "It wasn't a stranger that came into Kyron's school and took him. It was someone we knew in our trusted circle. We firmly believe that Terri has worked with people on this, had help after the fact." Kaine Horman: "We need investigators to continue to focus on other avenues that might reveal who that person or persons are." "It was exactly between 8:45 and 8:55. He was in his classroom. He got the photo taken by Terri and he according to eyewitness accounts ... multiple adults ... that can vouch for the fact that Terri walked out the side entrance of the school with Kyron in tow and we know this because Kyron's friend even saw him with her right outside the school." "I think everyone knows she took two polygraphs," Kaine said. "She has not passed those polygraphs." Desiree and Kaine said they also took polygraph tests and "passed with flying colors." KGW investigative reporter Kyle Iboshi has followed the Kyron Horman case since the 7-year-old boy disappeared from Skyline Elementary School in 2010. Iboshi obtained new documents and interviews that showed increased activity surrounding Horman’s case, including ground searches and detectives analyzing new computer evidence. The following article is a must read in its entirety. LET IT SNOW ... LET IT SNOW ... LET IT SNOW!! After what seems like a very long dry period, a strong front dumps periods of heavy rain across the metro area for Tuesday along with windy conditions both at the coast and inland. Temperatures are starting off mild Tuesday morning with most metro areas seeing mid-to-upper 40s. Temperatures will climb to 53 by late morning, but then fall quickly by the afternoon. Cold air from Canada will flow in by evening and dump heavy mountain and foothill area snow through Wednesday morning. What was the implication of the words "pending criminal charges" in the December 2013 divorce agreement ... words that were directed at Kaine. Could it be that Terri ... Stephen Houze ... reconsidered prior to following through with legal action against Kaine ... legal action that had the ability to interfere with his sole custody of Kiara? Could it be that Terri was advised by her $350,000 up front attorney to think twice prior to going down that road? When Kaine's 2010 words regarding Terri's use of "fat burners" is considered ... could it be that Terri's attorney was concerned that his client's own past may come back to bite her? Has Kaine Horman ever been deposed? I don't think so. I could be wrong. The following words of Don Rees implies that Kaine is privy to behind the scenes investigative evidence encompassing the disappearance of his son. "Because Kaine Horman is the victim of "an apparent crime against his own child,'' he has a legal right to information about his missing son. The fact that law enforcement has necessarily conveyed this information to Kaine Horman does not waive the longstanding and well-recognized privileged and confidential nature of information relating to a pending criminal investigation. Kaine Horman should be prohibited from answering any questions about law enforcement methods used to investigate his son's disappearance, physical evidence gathered, witness statements or questions asked by law enforcement, or whether he has testified before a grand jury." Young tries to keep busy. She's a budget analyst at Southern Oregon University. She goes to therapy. She supports families as coordinator for Team Hope, a group of parent volunteers for the National Center for Missing & Exploited Children. Young addresses at least one conference every year that's sponsored by the center. She also has shared her perspective as a parent of a missing child at nationwide law enforcement conferences, including for the Amber Alert system and Child Abduction Response Team Training under the U.S. Department of Justice. CART teams are made up of professionals from various disciplines, including city and county police agencies as well as counselors, educators and specialists in search and rescue. When a child goes missing, they work together, something that doesn't always come naturally to independent agencies. Young, who still lives in Medford, played a role in Southern Oregon's CART certification a year ago. Her public engagements are part of her drive to help improve the response when children go missing, she said. They also help her navigate her own rough times. "There's part of that that gets me through every day," Young said. "It's different than talking to a parent of a missing child. It gives you a different focus. It provides a little bit more of a feeling that I'm doing something to improve the future." "I'm the parent who got the dreaded call. The parent no one wants to be. The one whose phone rang out of the blue in the middle of the day, and the voice on the other end said, "Your daughter is missing." I never imagined that would be "that parent," living an endless nightmare in front of the whole world. But was, and I still am, because I will always search for her. I will forever be Natalee's mom." Page 230: "I can't say for sure if we'll ever know that answer to whether my daughter is alive or not. I know it doesn't look good. But just as that old metal spiral staircase rose from the ashes when our lake house burned down, so too faith stands strong in the remains of this devastating loss. And just as my Dad built another house around that staircase, I will build another life around hope and faith. It won't ever be the same. But I pray that it will, at the very least, be useful." Page 219: "In each city I have the privilege to speak to several high schools, churches, or law enforcement and civic groups. This translates to thousands of youths and adults. Delivering this safety message is my triumph over devastation. If gives me great joy and is tremendously rewarding work. I think that I can bear the pain of losing Natalee if it means that I can prevent another family from going through our tragic experience. If even just one young person in tens of thousands is saved, then it's well worth it." Think about it. What are the implications encompassing the recent silence from Desiree and Kaine as well as investigative spokespersons regarding updates in the Kyron Horman case? A must read in its entirety!! New documents and interviews suggest there’s increased activity surrounding the investigation into Horman's 2010 disappearance. TWO OREGON INVESTIGATIONS - ACTIVE AND ONGOING!!! The following was forwarded to KGW News by the Office of Multnomah County Attorney in response to investigative reporter Kyle Iboshi regarding his allegation of denial of right to inspect public records pertaining to aspects of the investigation into the disappearance of Kyron Horman on the morning of June 4, 2010. The response is a good read in its entirety. 7. The Roseburg Police Department has indicated that their criminal investigation is ongoing. 8. 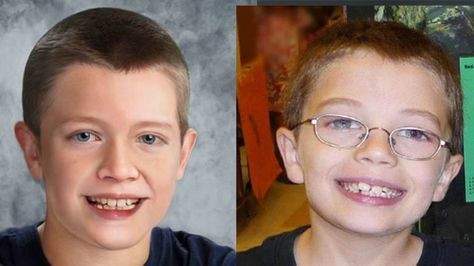 Multnomah County's criminal investigation into the disappearance of Kyron Horman is also active and ongoing, with detectives continuing to follow leads, and grand jury remains companelled to take evidence in this matter. TONY YOUNG: That's huge… There's starting to be some structural problems with what she's saying at that point. And then it continues to stack up. 2017/2018 - ACCORDING TO BLINK - NO LE REQUEST? "We have a host of MCSO and FBI investigators still standing by with interviews and polygraphs when someone actually wants to cooperate. Feel free to stop by they are waiting!! Still!! 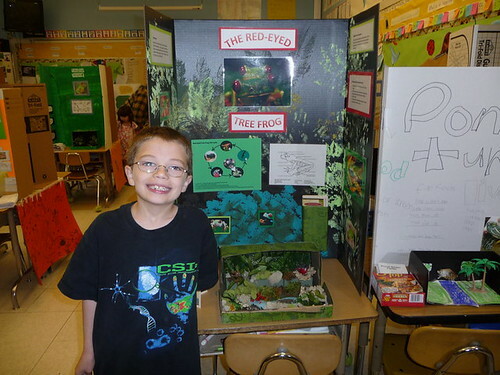 ..."
“Kyron Horman’s parents and members of the public should know that the investigation into Kyron’s disappearance is active, ongoing and includes a recent search effort,” a joint statement from the Multnomah County sheriff’s office and district attorney’s office said. Ms. Horman has an open invitation to speak with MCSO. The Multnomah County District Attorney's Office was in contact with defense attorney Stephen Houze earlier this week and was advised that he continues to represent Terri Horman. Mr. Houze requests no contact with Ms. Horman by law enforcement absent his authorization and her consent." TERRI ADVISED TO ZIP IT? Kyron may not have been found but ... could it be that almost eight years following his disappearance ... Terri will be charged based on evidence. "I am 150 percent confident that Terri Horman should be charged in the case." Maybe we haven't found Kyron yet but we have a lot of circumstantial evidence tying Terri to Kyron's disappearance." " ....They're not going to prosecute Terri until they find Kyron." " .... They won't put her in Jail until we have Kyron." Considering almost eight years have come and gone and no Kyron ... could it be that a suspected 2010 secret indictment will be revealed ... a secret indictment along with other accumulative evidence that will dictate the arrest of Terri in regards to the events encompassing the disappearance of her stepson? We’re pretty excited about the work that they are doing, the level of work and the amount that’s been going on." “They are working computer forensic information and evidence that they have gotten that’s come to light recently." Page created in 10.254 seconds with 20 queries.